"The Cost of Doing Nothing about Siye can even be more expensive for Tigreans." can even be more expensive for Tigreans. As the saying goes"If the light of justice goes off in darkness, how great is that darkness!”. This saying conveys a powerful message for darkness can never overwhelm the light; and for the evil (Satan) can never overwhelm the good (God). 1. Presumption innocent until proven guilty. 2. No one shall be condemned unheard. 3. No one shall be a judge in his own cause. If we try to be honest and evaluate the above fundamental basis of the rule of law in the Ethiopian context, no doubt, justice is increasingly changed into a nightmare. In this regard, the first principle of presumption innocent until proven guilty is explicitly violated under the cover of the Anti-Corruption law that prohibits the right for bail for suspected citizens in corruption. This is inconsistent with article 19, no.6 of the Ethiopian constitution that grants the right for bail. Further, as opposed to article 22 of the Ethiopian constitution, which declares the “non-retroactivity of a criminal law”, the anti-corruption law was terribly applied to Siye retroactively. This indicates that the actions of the government are totally in contradiction with the enactments of its own constitution. The second foundation of the rule of law is also similarly violated as the suspects are simply condemned unheard. Siye's issue is a case in point. 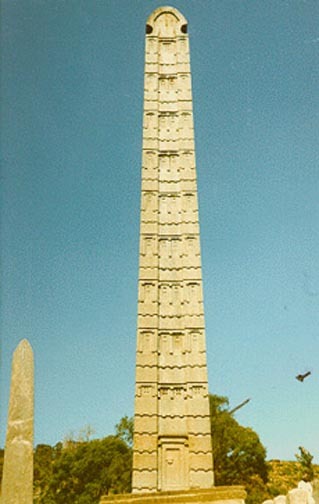 Shamefully, the judges of the so called Supreme Court have never been appeared in full for more than 20 times to the proceeding of Siye’s trial with an evil and professionally unethical intention of not facing the facts of the free Siye and not to release him from the politically-driven prison of Meles. Thirdly, the government in Ethiopia is the prosecutor and the judge at the same time. The government sues and gives the final verdict of its political prisoners like Siye, being a judge in its own case. It is a public knowledge that the executive branch of the government which is led by Meles gives a direct command to the courts on what to do or not to do, particularly when it comes to the politically honored people like Siye and many others. For instance, on a TV interview, Meles clearly conveyed its unethical prejudice by saying that he does not want to see Siye being released from a jail. This is what we call a typical violation of the principle of right of persons to honor and reputation, which is a fundamental human right. Therefore if this is the case in the Ethiopian justice system and the light of justice in Ethiopia goes off even to its founders, doesn't this indicate the greatness of the darkness of injustice in Ethiopia? What are we waiting for then? Until each and all of us will be taken to the hell of that darkness one by one and/or as a society? I would say no, and let us please raise our voice to the highs of justice by conducting continuous political seminars on a range of national agendas and through physical demonstrations around the Whitehouse and other relevant International Offices here in Washington and all over the world in order to disclose Meles’s real undemocratic behavior and the injustice in Ethiopia. Only by doing so, we can manifest our greatest concern and commitment to our society who are suffering not only from destitution but also from the darkness of injustice. If we fail to give prompt response by action to such sensitive issues of our country and if time passes, we will not afford the consequences of our silence. Shouting and/or crying after the remaining slightest customary law is completely replaced by arbitrariness and anarchism will help nothing. Timing is very important to reduce the cost of the ever accentuating injustice in Ethiopia. And the cost of doing nothing on the representatively exemplary case of Siye would be shameful and even be more expensive, particularly for us (Tigreans). For we have played a pivotal role to bring Meles to power. I see no reason to remain soundless while injustice is exacerbating at the speed of light in our country. Apparently, we must be the first people to act when TPLF starts to go out of the expected truck. Whether we like it or not, and no matter how far it is right or wrong, this is also the expectation and perception of many Ethiopians, if not the majority. And obviously, perception is much more powerful than reality in such situation. Thus, the best way to cure such vague perception altogether with the ethnic-driven sickness and political complications in Ethiopia can only be our practical move to make a purposeful difference as usual. Many great people fight for freedom worldwide by virtue of being human, let alone to struggle for our own specific interest, in our case. I would say, “Nothing great comes into being all at once”. Let us start doing something right now and it will become something great sometime in the future for the cause of our own benefit. Let us unite once again and get up for our rights. As already indicated, we can start it by organizing and conducting nonstop seminars, arranging political debates on various sensitive national issues, and assembling other forms of continuous brainstorming schemes with Tigreans and other Ethiopians in the Diaspora, and consequently mobilizing continuous physical demonstrations around the world. Such sessions can play indispensable role in identifying our real challenges and future opportunities by sharpening our current knowledge about the confusing conspiracies in the Ethiopian politics which in turn may provide us ways towards devising a commonly shared clear strategic political position in a near future. This may also help us from being criticized by our future generation and by historians. I would say the elite educated Tigreans and former members of TPLF patriots who are residing abroad must assume the leading role to play their moral, intellectual and professional responsibility in the struggle to overcome the darkness of injustice in Ethiopia and to ensure the light of justice to all citizens. Otherwise, the cost of remaining at static may lead to prohibitively expensive chaos and anarchism. Time is rushing; it is never enough. However, if we take care of hours, years will take care of them selves. Here we go right now.